Welcome to The Danish Club of Ottawa’s Guest Book! These are the wonderful comments we received when we first created the Danish Club of Ottawa website back in 1999. And today, years later, we continue our web presence with our own blog and we look forward to hear more about your thoughts. We are happy to hear your thoughts/feedback, fill-in the comments section below!! Jeg vil hermed sende alle en lille Hilsen fra gode gamle Danmark. Jeg ønsker jer alle Held og Lykke fremover. Venlig Hilsen Walther Feirfelt Vordingborg. I happened to stumble across your website and I am glad I did! It is very informative! I am from Saskatchewan and happen to have been an exchange student (udvikslingsstudent) to Denmark, 1992-1993. I stayed in Augustenborg on the island of Als in Soenderjylland. I had a fantastic time and have been back twice. My host parents came to visit us in Saskatchewan this past June. I had so wanted to get involved with some sort of Danish group when I returned to Canada especially to practice the language. I haven’t had much luck locating anything in Saskatchewan. 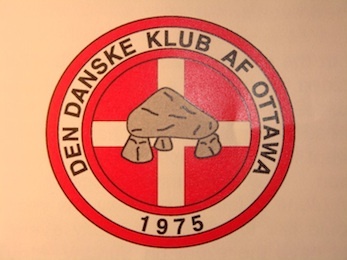 I am planning on moving to Ottawa next year and am very happy to see that the Danish Club of Ottawa exists. I’ll definitely get in touch when I arrive! Hej! Jeg har lige fundet jeres gæstebog, min interesse er at, jeg har en far et sted derovre det jeg ved er at, han skulle bo i Edmonton,han hedder Ivan Egon Steffensen. Om mig selv kan jeg fortælle at,jeg er født i København i 1947,jeg hedder Juddy Merete. My husbands family is from Denmark and I have been to many of the clubs functions. I am very proud to have married into such an interesting culture and I enjoy the club very much! Keep up the good work! It’s wonderful to see a Danish Canadian club, especially with an Internet site! I love the site and can’t wait to get involved with your group! En lille hilsen fra Nuuk, Grønland. Vi er en familie på 4, som har boet i Grønland i 5 år. Vi kommer oprindeligt fra sønderjylland. Imens vi har boet i Grønland, har vi været på ferie 3 gange i Canada og vi synes det har været lige fantastisk – hver gang. Vi synes, at det er et fantastisk land. Vi har endda overvejet at søge til Canada, når vi bliver trætte af kulden her i Grønland. Vi synes det er en flot hjemmeside, med mange gode informationer og links. Det kan være at vi kan nå nogle af Jeres events, da vi er i Canada – igen fra den 20.06.00. Hej så længe og held og lykke med foreningen. En lille hilsen fra Kolding i Danmark, Tillykke med jeres hjemmeside, den er rigtig god. Min interesse er at jeg har fammilie i Canada, og de imigrerede i perioden 1952 – 1958 og de bor i Hammilton – Toronto – og Winnipeg. Jeg har selv oplevet Canada i 1961 da jeg sejlede som sømand og sejlede den skønne tur op af Sct Laurents Floden til Montrial. Vi rejser her i juni 2000 til Winnipeg på besøg ved min fammilie som jeg ikke har set nu i 20 år så jeg glæder mig rigtig meget til at se den skønne land Canada som vi skal besøge på kryds og tværs. Her til sidst held og lykke til med jeres forening, det er dejligt at vide at der er en forening som holder ved de danske rødder. Hello, – and Christmas greetings from Denmark. I fell over your nice web-site by chance, and i gor interested, so i’ve spend more than 1 hour here. Bye the way, if anyone need danish song, just send me a mail, i’ll be glad to help. Many songs are with cord for guitar or piano, and midifiles can be found for manu danish songs. We are reviewing the site from Århus and our relatives are very impressed. The link with the Danish songs will be referred to, especially this Jul. Very impressive site. Enjoyed it very much and will continue todo so. A most professional site. So very informative. I’m an Italian and after browsing this site I feel that I know Denmark; of course my Danish wife is extremely pleased. Just a short note to let you know that I think you have a very impressive website. If any of you guys ever go to Denmark, please drop by for coffee. I wish you all the best. I am very lucky to have such a strong, yet small danish community. Were people are proud to show their true colours; red and white. Even though we come from a small country that some have not heard of, we are strong enough to conquer anything, like our ancestors the vikings. I found your site extremely informative. You are certanly not short of events. But I did not see Skt. Hans. I am the treasurer and members secretary of DANFOLK the Danish society in Norfolk, United Kingdom, which was founded 29th March 1998. We have 179 members divided on 90 households. We also issue a news letter called DANPOSTEN but only four times a year. Our web site is www.danfolk.co.uk. Great web site. Regards PETER KLINGE TREASURER & MEM. SEC. DANFOLK, UK. A very good an interesting Site. Greetings to Your all. I´ll look in it again later. I like to comment the look from Haderselv, Denmark…. Im going to move to Petawawa, Ontario soon… and I just liked to check out your site and find it GREAT and I cant wait to join your club when I live in Canada. Great site! Tillykke med den – den er paent! I like the look of your (our ) homepage, — clean , uncluttered, easy to go to. Whoever was the driving force in making this happen deserve a much credit. Congratulations with your new homepage. I wish, that we had one. A very professional Website! It was a pleasure to visit it! Hi there, greetings fro Sunset Villa, I was wondering if you would put a link to our facebook page on you site?? My apologies for the delayed response. Absolutely we can do that. I will put up in the next few days. I was so pleased to have found this wonderful website. I am of Danish heritage, born in the U.S., but currently living in Amherstview, ON. My father and grandparents came to the U.S. from Esjberg in 1928. I was raised in the culture and enjoyed many a great Danish meal. I have some of my father’s Danish books. I never learned to read or speak the language, so I am not certain about the contents of the books. They appear to be children’s books. If anyone one would be interested in these books, I will be more than happy to find a good “home” for them. They are quite old, as my father would have been 100 yrs. old this year. Please contact me by email. I will check this site for upcoming events that I would love to attend. I’m not sure of the answer, but there is a European Deli on Merivale Road in Ottawa. I have however sent the question to a few folks on facebook, perhaps someone will know more specifically for you. I’ll keep you posted.